L is for Lion....and Lyon...Lyon, France that is! This gorgeous lion mosaic came from a group of beaders in Lyon, France. Isn't it spectacular!!!??? There were many other lions as well. 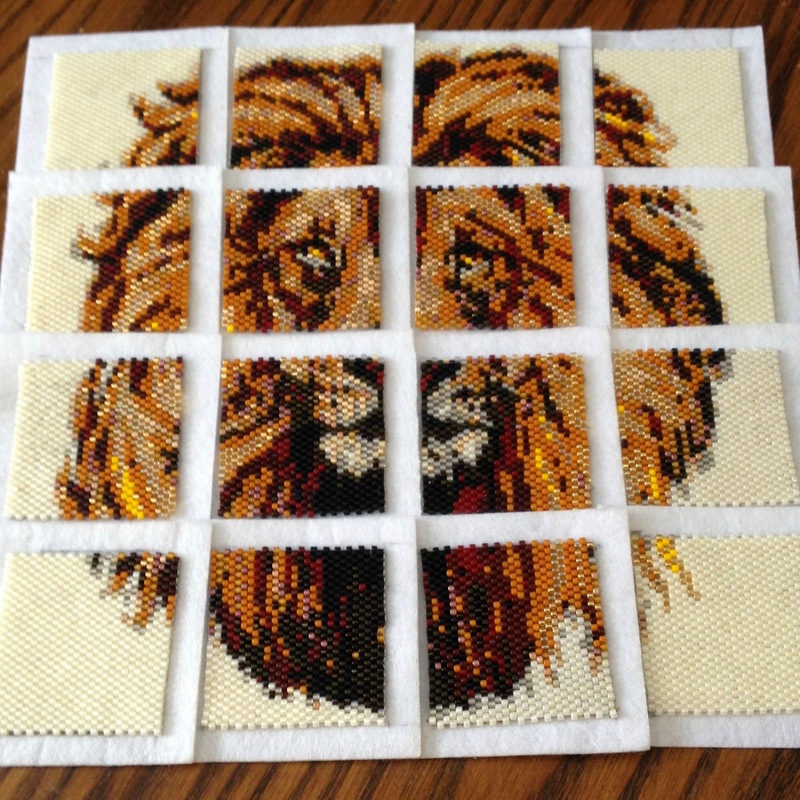 Be sure to scroll through the gallery page on the Bead-It-Forward website to see more lions! Among plenty of other wonderful animals! What will the letter "M" bring tomorrow!!!?? For more A-Z Bloggers - click here. The Lyon Lion is pectacular! But that woolly dimensional lamb is adorable!!! The lion is beautiful I love big cats. The lamb looks like Shaun the Sheep. 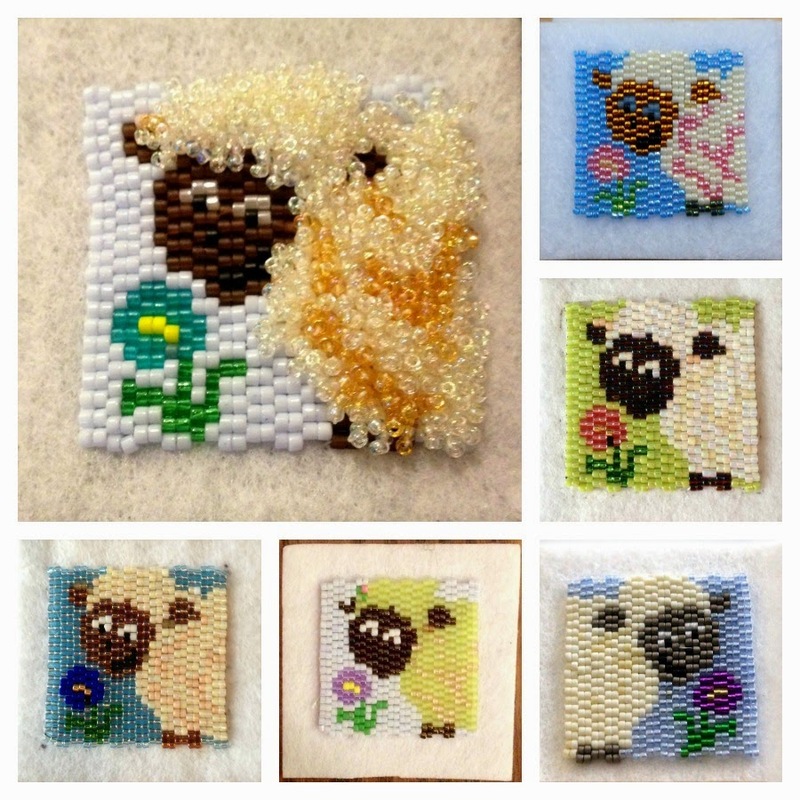 Loving your posts, Amy--thanks for sharing all this talented beadwork! That lion is amazing and the lambs are ADORABLE! The lion is spectacular there is no wonder why he is the King of the jungle! The lamb is so cute too. On the fluffy one, are those beads or fiber?